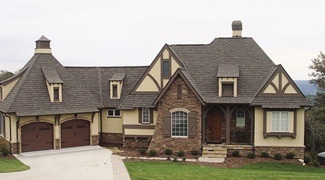 Garrell Associates Houseplans at Designs Direct - Garrell Associates is a leading home plans designer. Atlanta-based designer Michael W. Garrell founded leading residential home-design firm, Garrell Associates, Inc., in 1993 with over 17 years experience designing custom and residential projects. The firm has since been recognized with 28 prestigious awards for residential design excellence. A Senior Designer for ten years with one of Atlanta’s biggest builders, Mike Garrell was responsible for the residential design and execution of approximately 2600 single-family units.